It is essential to choose fresh water with a low mineral content. The ideal is to use spring water or perhaps filtered water. It is also best to boil it in a kettle, because water heated in a pan can easily be tainted by the taste of the food previously cooked in this receptacle. The golden rule about water temperature is never use boiling water on the tea, whatever kind of tea you are making. Green Teas require water at 70°C and black teas require water at 85-90°C. These days you can get kettles which enable you to choose your water temperature. If you are making your tea in a teapot, it is advisable to scald it first, i.e. pour boiling water into the pot, rinse it and throw the water away. 1. Terracotta teapots which are said to have a “memory” because they retain the flavour of the tea already made in them. It’s best to have a different teapot for each kind of tea, so that you don’t mix up the flavours. After use, the teapot should merely be rinsed out, without scrubbing it or using any detergent, and then left to dry with the lid off. This kind of teapot is very suitable for black teas and Oolong teas. 2. Ceramic, metal, porcelain teapots, which can be washed in hot water (without detergent). These are more versatile because they don’t absorb the flavours of the teas. Custom dictates that 4 grams are sufficient for one cup. But the amount is partly a matter of preference. In the case of Assam tea, which is naturally very robust, you might want to reduce the strength and brew 3 grams instead of 4. This is a very important step in the art of tea-making. In fact, the brewing time varies depending on the type of tea. An over-brewed black tea will develop a bitter taste whilst an under-brewed white tea will be flat and insipid. 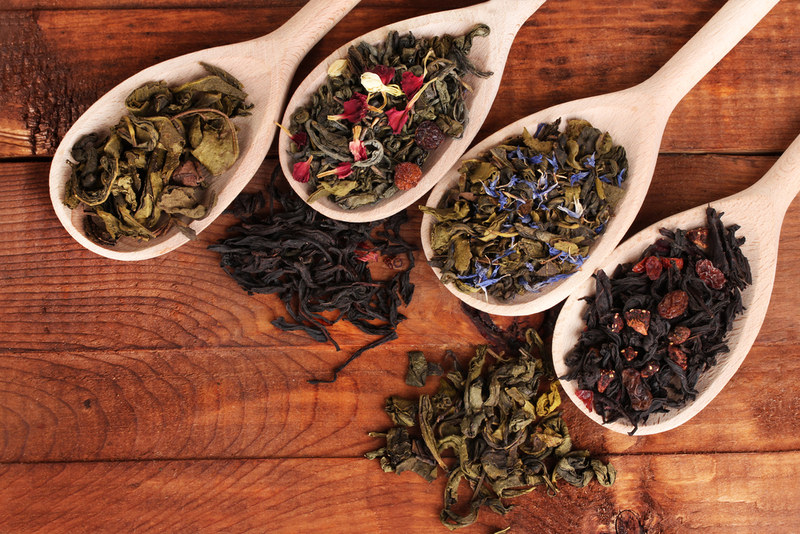 Black teas are normally brewed for 2-3 minutes, green teas for 3 – 4 minutes. It is a good idea to check the brewing time before making the tea, because some teas need to be infused for very specific times: for example, Jade Pearl is left to infuse for 7 – 20 minutes, whilst Oolong tea will need 5 – 7 minutes for its bouquet to develop fully. Brewing is normally done with a lid on, so that the tea retains all its aromas.